The City of Carpinteria began its review of a proposed cannabis ordinance last week, which could result in lifting the local moratorium on cannabis commerce, specifically to allow testing, manufacturing and delivery in the near future. Meanwhile, Santa Barbara County’s regulations, passed last spring, were considered and amended by the California Coastal Commission on Oct. 10. When enacted, these rules will apply to cannabis farmers outside of city limits in Carpinteria Valley. Both the city process to decide which types of cannabis businesses will be permitted and the Coastal Commission hearing highlight that there is a complex web of laws regulating cannabis and that Carpinteria Valley has emerged as an important region in the cannabis industry. In Carpinteria Valley, farmers have acquired 252 cultivation licenses, according to the state database. The large number is a result of the way the state issues licenses. Of the 252 licenses, 225 of them are 10,000 square foot licenses, known as small mixed-light licenses. Greenhouses are considered mixed-light, because plants are grown by natural sunlight and, when necessary, some artificial light. It’s not uncommon for single farms to hold several small licenses. There are not 252 farms in the valley, or anywhere near that. According to the Cannabis Association for Responsible Producers, a nonprofit trade association whose members represent about half the farms in the valley, some of the 10,000-square-foot licenses are in farms that grow both flowers and cannabis, and dozens of licenses are inactive. There are nine 22,000-square-foot licenses in the valley, which are known as medium mixed-light licenses in the state system regulated by the Department of Food and Agriculture. Individual license holders are allowed only one medium license each. Large licenses for over 22,000 square feet will not be issued until 2023, a part of the state law designed to protect small farmers during the first years of legal cultivation. Currently all cultivation licenses in Carpinteria Valley are temporary pending final approval of Santa Barbara County’s cannabis ordinance by the California Coastal Commission. Temporary licenses are issued for 90-day periods and must be renewed under state review for growing to continue. The state will issue annual licenses once county regulations are passed and farms can demonstrate compliance with both local and state laws. County rules include a buffer zone between farms and sensitive receptors like schools and childcare facilities. Also, odor control and security systems are required. 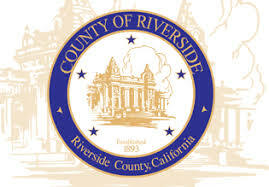 The county also capped the acreage that will be allowed for cannabis cultivation in Carpinteria Valley at 187 acres and prohibited outdoor growing in the coastal zones as a protection against odor. There’s a common perception that farmers rushed into Carpinteria Valley to grow cannabis because it was like growing money. 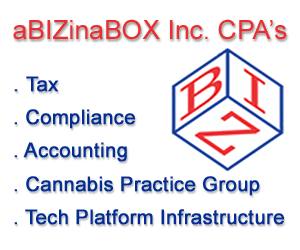 However, as the regulatory framework has slowly come into form, the costs of growing have increased while the price of cannabis in the legal market has declined. Farmers pay $148 per pound to the state regardless of the wholesale price, which averaged $920 per pound for greenhouse cannabis last week, according to Cannabis Benchmarks. On top of the state tax, growers pay 4 percent of gross to Santa Barbara County, which is $37 of $920. That’s $185 or about 20 percent to state and local taxes at current market rates. The annual license fee from the state is $1 per square foot, so if a license holder has a 2-acre farm, it’s $90,000 annually just to hold the license. Compliance with the pending county ordinance requires odor control, and the vapor phase odor abatement system many growers already use costs $200,000 to install and $10,000 per month to operate. According to CARP Growers, setting up a farm costs over $1 million in odor control, blackout screens and renovations to meet cannabis-specific regulations. 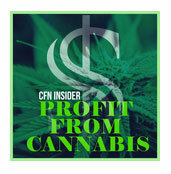 Profit margins have shrunk as the legal cannabis industry has come on board. It’s a huge investment, and the market has trended downward while many fees to state and local agencies are fixed regardless of prices and profits. Currently, adult-use cannabis cannot be legally purchased in Carpinteria. Residents can grow up to six plants at home, but to access the commercially grown product from Carpinteria, the nearest retail location is Santa Barbara, and that’s currently only available to carriers of medical recommendations. Brands listed at www.carpgrowers.org are Autumn Brands, Glasshouse Farms, Terp City Farms, Headwaters and Josh D Farms. Products from these brands can be found throughout the state as more cities permit retail shops. All product is subject to testing for THC and CBD levels as well as contaminants at private testing facilities, but so far no testing facilities have been permitted in Santa Barbara County. There are 300 miles of coastline between Los Angeles and Santa Cruz that do not have testing facilities, so the product handled by distributors must find its way to a lab before being sold at licensed retailers. 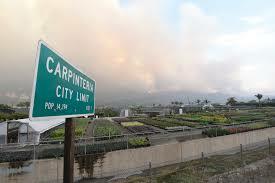 Distribution and testing businesses could come to Carpinteria soon. The Carpinteria Planning Commission last week began its review of a proposed ordinance that could allow businesses involved in testing, manufacturing and delivery to operate in the industrial park on the east end of Via Real. NextSan Francisco’s “Cannabis Oversight Committee”, Undocumented CA Cannabis Companies, San Diego.. Cannabis Companies Nightmare Realized ? & Canadian Policemen Cannabis Use Rules. 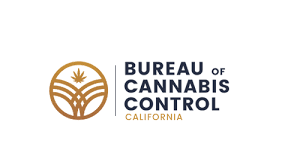 Bureau of Cannabis Control (Bureau) announced today that it is seeking proposals to develop a two-year statewide public awareness and education campaign related to the licensure of commercial cannabis businesses in California.